I love Tempranillo wines. I wouldn’t call myself an expert, but I had a wide range of Tempranillo – with the exception of Australia, I believe I tried most of the major renditions – Rioja, Ribera Del Duero, Toro, most everywhere else in Spain, Texas, California, Oregon, Washington (am I missing something? do tell!). With all the love and respect to all the regions, if I have to put an order of priorities in that “list”, I would put Rioja first, Ribera del Duero very close second, but the competition for the 3rd place would be severe – in my world, of course. I like wines of Toro, the closest sibling to the Rioja and Ribera del Duero, but it would be hard for me to place them higher than some of the beautiful Tempranillo renditions from Irwin Family Vineyards, Duchman, or Fields – considering the Toro wines I had in the past. Compared to Rioja and Ribera del Duero, Toro is … well, maybe I need to explain why I keep mentioning Rioja, Ribera del Duero, and Toro together all the time. These are the only three regions in the world where the absolute majority of the red wines is made out of the Tempranillo grapes. Yes, there are Garnacha and Graciano in Rioja, Cabernet Sauvignon and Merlot in Ribera del Duero, but still – most of the red wines in these three regions are made out of the Tempranillo, hence the constant comparison. Out of the three regions, Toro is south-most one, with an expressly continental climate, low annual rainfall amounts, and significant range of day-night temperatures – which typically translates well into the flavor. Tempranillo is the grape of Toro, but similarly to Tuscany/Brunello, where you have Sangiovese and Sangiovese Grosso, Tempranillo in Toro is known as Tinta de Toro, a.k.a Tempranillo de Castilla, a.k.a. Ink of Toro. The grape is a bit smaller, with thicker skin, which coupled with growing conditions typically results, in massive, concentrated wines requiring extensive aging to become drinkable – I still have a memory of trying Alabaster made by Sierra Cantabria, one of the well-known producers in Toro, which was one of the most massive wines I ever experienced. Nevertheless, as I said at the beginning, Tempranillo is one of the favorites, so when the opportunity called to try 3 wines from Toro, I was definitely curious – and a bit cautious at the same time. To ease things up, together with the 3 Toro wines from Bodega Matsu came a bottle of Rioja Reserva from Bodega Classica. While coming from unrelated producers, there is a common link between them – this link is called Vintae – a young company with a serious passion for the Spanish wine for the modern world. Vintae, started in 1999 by the Arambarri family, set on changing world’s perception of the Spanish wine as “boring”. To the date, Vintae unifies a collection of 11 different “projects”, all focused on showcasing the regions and the grapes. Medium body, good acidity, noticeable alcohol burn initially, went away in about 15 minutes, good fruit showed up, characteristic cedar notes, good acidity, round, soft. 8-, nice, just give it a bit of time to soften up at the beginning. The second day continued without changes. Good life expectancy, as expected of Rioja Reserva. And an excellent QPR. Now, let’s go back to Toro. As I already said, in my prior experience, Toro wines were massive and concentrated, requiring long aging to soften and really show a beautiful expression of Tempranillo. And then there were wines called Matsu. Matsu in means “wait” in Japanese. As we all know, waiting is one of the favorite games of oenophiles. When it comes to the three Matsu wines I had an opportunity to taste, there are many different levels of “waiting”. The wines had been progressively aged for the longer times before the release – 3 months for El Picaro, 14 months for El Recio, 16 months for El Viejo. The grapes were harvested from the vines of different age (again, progressively) – 50-70 years old for El Picaro, 90-100 years old for El Recio, more than 100 years old for El Viejo. See, waiting here is clearly a part of the equation. And then there are those ultra-creative labels. Not only labels commemorate people who actually worked to create the wines, they clearly identify what you should expect from the wines – in age, in style, and even in price. I conducted a little experiment, first with my kids, and then with the people on Instagram, asking them to identify the most expensive wine – nobody made a mistake, the labels speak very clearly to us. Surprisingly light on the palate, pleasant tannins, fresh berries, very quaffable. 8-, might be the lightest rendition of Toro I ever had. The smell is a bit more complex on the second day. Palate nicely evolved, good balance, raspberries, no more impression of the young wine, lots of minerality. 8-, needs time. Second day: 8/8+, velvety texture, well integrated, excellent balance, a touch of tobacco and espresso on the palate and ripe plums. Outstanding. 8- first day, waiting for more. Second day: 8, much evolved, more integrated, velvety texture, dark fruit, round, smooth. Will evolve further. Here you are, my friends – the Art of Wine, from the label to the glass. Very impressive and thought-provoking wines, definitely worth seeking. Have you had any of these wines? Have you had Toro wines before? Do you have any Tempranillo favorites? Cheers! Are there different wines for the different seasons? In general, the answer is no. And for sure, in theory, the answer is no. The wines should be paired with food, with mood, with the company, and the actual season should have no effect on your desire to drink Champagne, or Rosé, or ice cold, acidic white or a full-bodied, massive red. Nevertheless, as the temperatures are sliding down, our desire to drink bigger wines proportionally increases. Thus, instead of fighting the trend let’s talk about few wines which would perfectly embellish any cooler autumn night. So you think we will be only talking about red wines? Nope, we are going to start with the white. Cune Rioja Monopole requires no introduction to the wine lovers – one of the pioneering white Riojas, produced in 1914 for the first time. If you tasted Cune Monopole recently, I’m sure you found it fresh and crips. Turns out, this was not always the style. The traditional, “old school” Monopole was produced as a blend of white grapes (not just 100% Viura), with the addition of a dollop of Sherry (yep, you read it right), and was aged in the oak (read more here). To commemorate 100 years since the inaugural release, Cune produced 2014 Cune Monopole Clásico Blanco Seco (13.2% ABV, $20 ) which is a blend of Viura and other white grapes. After fermentation, a small amount of Manzanilla Sherry from the Hidalgo Sanlúcar de Barrameda was added, and the wine aged in the used Sherry casks for about 8 months. This wine had a great added complexity while remaining fresh and vibrant. Drinkability: 8. You should definitely try it for yourself – if you can find it. Let’s stay in Spain now for the red. What do you think of the wines from Castilla y León? Castilla y León region is home to some of best of the best in Spain, such as Vega Sicilia and Pingus, both located in Ribera del Duero sub-region. But there are plenty of outstanding wines which are simply designated as Vino de la Tierra de Castilla y León. Vino de la Tierra is considered a lower quality tier than DO or DOC – but some of the winemakers prefer VdT designation as it gives them a lot more freedom to experiment with the wines. Let’s go back to Europe – to Italy to be more precise. Italy is home to lots and lots of world-famous producers, but there are still a few which have more of a “legend” status. One of such producers is Gaja – anyone who is into the wine would immediately jump off the chair at the slightest opportunity to drink Gaja wines. Gaja is most famous for their Piedmont reds – Barolo and Barbaresco. It appears that in addition to the first two Bs (Barolo and Barbaresco), the third “B” group of wines is not foreign to Gaja – if you thought “Brunello”, you were right. Gaja acquired Pieve Santa Restituta estate in Montalcino in 1994, its first venture outside of Piedmont. A “Pieve” is a parish church, and the estate was named after the church which is still present on site – the winemaking history of the estate can be traced all the way back to the 12th century. What are your favorite wines to enjoy in the Fall? Cheers! I discovered the real greatness of the Spanish wines about 10 years ago, thanks to the wonderful seminar at maybe the best source of the Spanish wines in New York – the PJ Wine store. I had an occasional Rioja here and there before, but tasting through the full line of best of the best in Rioja, starting from the legendary 1964 vintage, was a true eye opener, and ever since, Spanish wines hold a special place in my winelover’s heart. If I need an ultimate solace in the wine glass, yes, 9 out of 10, it will be a Rioja. Spain has the biggest vineyard area plantings in the world, so no matter how great Rioja is, Spain is so much more than just the Rioja. As I became a big fan of the Spanish wines (search this blog under the “Spanish wine” category), it became truly fascinating to follow all the changes and see the appearance of the totally new regions and reincarnation of the ancient, authentic grapes – Spain is home to about 400 grape varieties, out of which only about 20 can be considered “mainstream”. What is the better way to learn about new wines if not the [big] wine tasting? Thanks to the Wines from Spain USA, the 24th annual “Spain’s Great Match – Wine, Food, Design” event offered exactly that – a big wine tasting (more than 300 wines), educational wine seminars and authentic Spanish food. I had a pleasure of attending these events for the last few years, including the special 30th Anniversary of Spanish wines in the USA, where the incredible tasting in the main seminar included once-in-a-lifetime wines such as 2005 Clos Erasmus from Priorat, a Robert Parker 100-points rated wine. Every year’s event offered unique and different educational opportunities as well as the tasting of the latest and greatest wine releases from all major Spanish regions. The first seminar offered during this year’s event was focused on the Spain’s rare grapes. Ask a winelover to come up with the list of the commonly used Spanish grapes – I’m sure that going beyond Tempranillo, Garnacha (Grenache) and Albariño will be challenging. Some of the adventurous wine geeks might add Graciano, Viura, and Verdejo. Meanwhile, remember – 400 varieties – versus 6 which we just mentioned. Spanish winemakers definitely got some options. So the first seminar, led by Doug Frost, one of the only 4 people in the world who are both Master Sommelier and Master of Wine, Gretchen Thomson, Wine Director for Barteca Restaurant Group, overseeing the largest in the country portfolio of Spanish wines, and Michael Schachner, Spanish and South American Editor for Wine Enthusiast Magazine, addressed exactly this issue. We had an opportunity to taste and discuss 10 wines made from the little known Spanish grapes. Beautiful nose, fresh, lemon notes, herbs, inviting. Crisp, cut through acidity, touch of fizz, would perfectly match oysters, seafood, most reminiscent of Mucadet. Off-putting nose – strong gasoline, aggressive herbal notes. The palate is interesting – lychees, pear, appears almost oxidative/”orange”. Intense, freshly crushed berries on the nose. Outstanding on the palate, tannins, burst of pepper, crisp, dry, very little fruit, medium body. Very interesting and different expression of Mencía. Delicious nose, open berries, sweet oak, overall on the nose – classic California. Lots going on on the palate – touch of sweetness, blackberries, nice swing of tannins, medium+ body. Closed nose. A tiny hint of fruit, more perceived than real. Tight palate, noticeable oak, touch of cherries, good balance of fruit and acidity. Needs time. Want to try again in 10–15 years. Nice nose, cherries, dark chocolate, fresh leaves undertones. Aggressive tannins, green notes (tree branches), initial sweet notes immediately followed by astringent profile. Our next seminar was dedicated to the wines and culture of the Castilla y León, an administrative region in the Northern part of Spain. Castilla y León includes a number of winemaking regions – some of the best, essentially – Ribera del Duero, Toro, Rueda among others. The seminar was led by charismatic Marnie Old – I have to honestly say that this was one of the very best wine seminars I ever attended – great delivery, lots of energy, excellent presentation. Simple, crisp, acidic, refreshing. Plus another new grape. Javier Sanz’s effort is dedicated to restoring pre-phylloxera vineyards – this is where the fruit for this wine came from. The nose is a pure wow – intense, camphor oil, sandalwood, rosemary. Palate is delicious, perfectly balanced, candied lemon, nutmeg, medium+ body, clean acidity, an excellent wine. Yes, and another new grape. 2016 Vino Bigardo Tinto Experimental (100% Tinta de Toro) – an interesting wine. Made by a rebel winemaker, who doesn’t want to make the wine according to the appellation laws, so the wine is unclassified. 20–100 years old wine, 45 passes during the harvest, micro-fermentation. Nose has lots of young, bright fruit, freshly crushed berries, reminiscent of Monastrell, unusual. Young fruit on the palate, but with undertones of stewed fruit, hint of the roasted meat. This is experimental wine all right, but this is not a successful wine in my book. Spicy nose with a whiff of cinnamon, sweet oak, classic Cabernet nose overall. On the palate very tight, the real Toro, powerful, dark fruit, nice – but needs time. Pairs surprisingly outstanding with the local Valdeon Blue Cheese. This wine comes from one of the founding estates in the region, established in 1777. Dusty nose, muted fruit, distant hint of dried cherries. On the palate – cherries, cherry pit, roasted meat, coffee, great concentration, fresh, clean – very good wine overall. 2014 CVNE Monopole Blanco Seco Rioja ($22) – Monopole is one of my favorite white Rioja in general, but this wine is taken to the next level by spending some time in oak – lots of increased complexity. Delicious. 2011 Bodegas Beronia III a.C. Beronia DOCa Rioja ($79.99) – 70 years old vines. Unique and beautiful, produced only in exceptional vintages. standout. 2015 Bodegas Garcia Carrión Mayoral Reservado DOP Jumilla ($12.99, Syrah/Cabernet Sauvignon/Petit Verdot) – a standout. Perfectly balanced, great flavor profile and QPR which can’t be beat. 2008 El Coto de Imaz Gran Reserva DOCa Rioja ($44) – perfectly drinkable, but can still age. Delicious and a great value. NV Anna de Codorniu Blanc de Blancs Brut Reserva DO Cava ($14.99) – never disappoints. Great value. NV Anna de Codorniu Brut Rosé DO Cava ($14.99) – one of my perennial favorites. 2010 Parés Baltà Cava Blanca Cusiné DO Cava ($40) – very good quality, comparable to vintage Champagne. NV Segura Viudos Reserva Heredad DO Cava ($25) – another one of my favorites. Delicious. 2016 Bodegas Sommos Las Bas Gewürztraminer DO Somontano ($25.99) – Gewurtztraminer is a tough grape for making a round, balanced wine – and this one was exactly that. 2013 Bodegas Enate “Chardonnay 234” Enate DO Somontano ($12.99) – classic, very good. 2013 Bodegas Muga Reserva DOCa Rioja ($28) – one of the iconic producers, very good wine. 2008 Viñedos y Bodegas Sierra Cantabria Finca El Bosque DOCa Rioha ($95) – probably the most expensive wine in the tasting, and it is not ready to drink. Needs time, lots of time. And then, of course, there was food. Cheese and olives were a staple, and many other dishes were carried out all the time. I also discovered my new favorite sparkling mineral water – Vichy Catalan. It is sold at some of the stores, such as Fairway Market, so if you like sparkling water, you might want to give it a try. That’s all I have for you, my friends. Spain’s Great Match is an annual event, so even if you missed this year, you should definitely plan to attend the next – you can see a full schedule here. Also, if you live in or will visit Chicago, you can still attend it on November 2nd. Either way – drink more Spanish wines, my friends! Cheers! If you read this blog for any period of time, you know that Spanish wines have my unquestionable love. From Rioja to Rias Biaxas to Priorat to La Mancha – Spain offers lots of tasty wines, often at an unbeatable value. I would rarely refuse a sample of Spanish wines, as this is the best opportunity to try new vintages and share my thoughts. What you can see below are few of the samples I got during February and March – all new vintages and all should be available right now at your favorite wine store. P: black fruit, cedar box, sweet tobacco, succulent, fresh clean acidity, delicious. P: very interesting, cut through acidity of Muscadet, but plump body and mouthfeel of Marsanne. Outstanding pairing with herb-crusted goat cheese – might be the best cheese pairing I ever experienced. That’s all I have for you today, my friends. What were your new and noteworthy discoveries? Cheers! I confessed it many times, and I’m glad to do it again – one of my most favorite parts of blogging, and essentially the most important one, is people. Interacting with people is the most prized element of any published blog post; meeting fellow bloggers and finding new friends is a huge cherry on top. 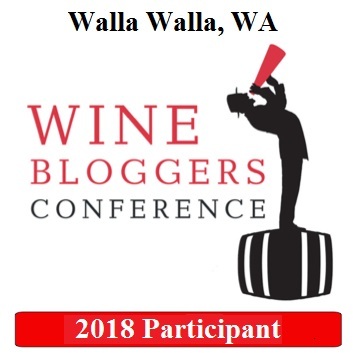 I don’t know if the wine has any special qualities, but I have a great personal experience with meeting fellow bloggers face to face for the first time and feeling like I knew them for my whole life. When I got an email from Jim, an author of JvbUncorked blog, offering to get together a few weeks ago, I knew I had to make it work. When I arrived 20 minutes late to Aldo Sohm Wine Bar in midtown in New York, Jim, Lori (a blogger and the winemaker behind Dracaena Wines) and Lori’s friend, Donna, were already there. More often than not, when I know what restaurant I’m going to, I like to check the wine list in advance. Aldo Sohm Wine Bar was opened by Aldo Sohm, the Chef Sommelier at Le Bernardine, a world-famous dining destination in New York City. Aldo Sohm is also known for winning numerous Sommelier competitions and was crowned multiple times as “Best Sommelier in Austria”, as well as “Best Sommelier in America” and “Best Sommelier in the World 2008” – you can imagine that the wine list put together by such a wine Pro requires some homework. I don’t know about you but I love and always do my homework, especially if it is connected to wine at least in some way. In addition a to the substantial wine list, we had another interesting challenge – Donna liked mostly white wines with the nice buttery component to them – but, she was willing to try new wines, which was very helpful, but – the challenge was on. Being late by 20 minutes had one lucky consequence – the first wine was already chosen and about to be poured by the time I situated myself at the table. We started with 2013 Kuentz-Bas Riesling Cuvée Tradition Alsace ($40) – and it was outstanding. Perfectly bright and intense on the nose, with a whiff of honey and apricot; on the palate, it was live and vibrant, crisp and playful, continuing honey and apricot flavors, supported by clean acidity. An outstanding wine and a great value at a restaurant wine list at $40. Bonus – we got “thumbs up” from Donna – you know how we, wine geeks, feel when someone says about your recommendation “ahh, I like this wine” – the top of the world feeling. Well, kind of, anyway. As we were pondering at the next wine, it was really hard to decide, especially trying to make everybody happy again. While we were looking at Italian options, feeling “yeah, might be, but really, yeah?”, I took the advantage of my list studying and suggested to try a California Chardonnay. Not just something random, but a very particular Chardonnay – 2012 Sandhi Chardonnay Santa Barbara ($80). Earlier in the year, I had my first experience of Sandhi wines with Sandhi Pinot Noir. Sandhi winery was founded by Rajat Parr, a world-renowned sommelier, a partner at Sandhi winery and one of the founders of IPOB (In Pursuit Of Balance) movement for dialed-down, balanced California wines. The Sandhi Pinot Noir was incredible, which made me really curious about the Chardonnay – and it didn’t disappoint. This 2012 Sandhi Chardonnay had generous, intense, open nose with apples and vanilla, and on the palate, this wine was simply a riot – I experienced similar Chardonnay wines only a few times, mostly from Burgundy, when they get incredible intensity and brightness of golden delicious apples, vanilla and honey, supported by just a hint of butter and clear, vibrant acidity. This was truly a treat. And – yay – we got “thumbs up” from Donna again. Two out of two! It was the time to move to the reds. While previously looking at the list, I noticed a 2001 Santenay for $77 at the end of the Burgundy section, right after 2001 DRC Romanée St. Vivant for $2650 (need an expense account, anyone got one we can share?). At first I thought there might be a mistake either with the price or a vintage in the online copy (had such experience numerous times), but no – the same Santenay was there on the wine list at the restaurant, for the same $77, so it was not very difficult to convince my partners in crime to go for this wine. 2001 Paul Chapelle 1er Cru Gravière Santenay ($77) was earthy, dry and pretty closed on the nose despite quick decanting. It took the wine a while to start showing some dark fruit, with earthy, minerally notes prevailing at the beginning. I think it took the wine about 45 minutes to give us some dark fruit notes and become a bit brighter. This 16 years old wine still has a lot of life left in it, and it is definitely a food friendly wine. By the way, do you care to guess of Donna liked this wine? Yes, you got that right – no, she didn’t. 2–1. As our evening was progressing, we got a pleasure of meeting Aldo Sohm in person – he came to our table and introduced himself, so we were able to chat with him for about 10 minutes about all the fun geeky stuff oenophiles enjoy so much – how uneasy it is to find good wines at the good prices, especially when it comes to the Burgundy, with the combination of terrible weather and Burgundy’s love on the upswing around the world. Talking to Aldo was definitely one of the highlights of the evening. It was getting somewhat late, but the challenge was still in front of us – we managed to score with the white wines for Donna to enjoy, but we had to find the proper red. After going back and force we settled on 2007 La Rioja Alta Viña Ardanza Rioja Reserva ($75). La Rioja Alta doesn’t need much introduction to the wine lovers – one of the very best producers in Rioja, making delicious wine year after year. Of course, this wine was still a baby, but within the reasonable price range, we thought that it would have the best fruit representation, which, again, we were hoping would win Donna’s vote. The wine was every bit as expected – nose of cigar box and vanilla, dense cherries, vanilla and eucalyptus on the palate, touch of sweet oak, full body, noticeable, but well integrated tannins. This was an excellent wine, but … Nope, we didn’t win this one. 2–2. But one super-fun evening. It was late, and it was the time to go home. But I really hope we are going to do it again. And again. And again. To all the friends – cheers! Yes. Confessed uncountable number of times, in this blog and everywhere (want proof? Click here, here, here, here or here). I love Spanish wines. Never tried to hide it, so no, there is nothing to look for in the closet. Spain is one of the so called “Old World” wine countries, with biggest grape area plantings in the world and one of the highest volumes of the wine production. But of course this is not the reason for my high sentiment towards Spanish wines. What is important, however, that if we will take 10 random wines produced in any country, in about the same price range, I will find the most of the wines to my liking out of those hypothetical 10 among Spanish wines – compare to any other region. Another equally important point for me is the value – Spanish wines offer one of the best values in the world; not only that – they are possibly the best QPR wines in the world. For example, if you will compare 1964 Rioja, which is still perfectly drinkable today and still can be found for less than $150, to majority of the wines of the similar age but from the other regions, most of them will not come anywhere close in the amount of pleasure they deliver, never mind the cost. And then we have to talk about innovation and drive forward. Spanish wines are not standing still. Styles are changing, wine quality is improving, new and unexpected grapes are made into delicious wines. To make this conversation more practical, let me share with you some of my recent Spanish wine encounters. Today, Albariño needs no introduction. The star white grape of the Rias Baixas region in Northern Spain is known to produce wines with explosive acidity and profile of salinity, which makes them an ideal companion to oysters and anything seafood for that matter. While Albariño wines are generally very good, there is one word I would rarely associate with them – finesse. Or at least I was not, until I had an opportunity to try these two Albariño. 2014 Bodegas LA VAL Albariño Rias Baixas D.O. (12% ABV, SRP $17, 2 month sur lie) had greenish/straw pale color; intense and open nose of minerals, wet stone and lemon. On the palate, the wine was plump with invigorating acidity, intense lemon finish, crisp, fresh – excellent overall (Drinkability: 8). As you can see, Albariño is really starting to deliver on the next level, and I can’t wait to see how far it can go. What is interesting, however, is that all of the best Spanish white wines – to my knowledge, of course – are made from the indigenous varieties – Albariño, Godello, Verdejo and Viura would be the “major four”. The situation is slightly different for the reds, where the local stars, Tempranillo and Garnacha, are joined by the international best, such as Cabernet Sauvignon and Merlot. Going back to the whites, outside of some experimental plantings, Riesling, Sauvignon Blanc and Chardonnay are nowhere to be found in Spain, yes? Well, that would be my statement as of the month ago, but not anymore. Enters Hacienda de Arínzano. Having tasted recently Hacienda de Arínzano Rosé, which was outstanding, I know that Pago de Arínzano, first Pago (highest denomination of quality in Spain) in Northern Spain, can produce excellent wines. Still, this 2014 Hacienda de Arínzano Chardonnay Pago de Arínzano DOP (13.5% ABV, SRP $19.99, 100% Chardonnay. 12 month French oak barrels – 30% new) far exceeded my expectations. From the first smell the wine in the glass was screaming “Chardonnay” – touch of vanilla, hint of golden delicious apples, just classic Chardonnay. The palate reaffirmed the “classic Chardonnay” impression – fresh, open, creamy, with perfectly balanced white fruit, vanilla, distant hint of butter, perfect amount of acidity – a delicious world-class Chardonnay which I would be glad to drink at any time – and almost a steal at this price. Drinkability: 8+. I want to mention one more beautiful Rioja wine – this one with a bit more age on it. I like it when I have a reason to open a nice bottle of wine, which otherwise would be still laying down and waiting for the “perfect moment”. The special reason was my son’s high school graduation, and as he was born in 1998, this was the first 1998 bottle I pulled out of the wine fridge (well, I’m not telling all the truth – this was the one I knew the exact location of). Okay, we are done here. Do you think I explained my passion for Spanish wines well enough? Great wines, great values, great QPRs, and lots and lots of pleasure – what is not to love? If you had any of the wines I mentioned here, I would love to know your opinion. Until the next time – cheers! I’m an eternal optimist, for sure – I keep creating new “series” of the posts (like the one you now see in the title – New and Noteworthy) in the hope that I will remember to use it all the time. Well, I had or still have a number of series in this blog, but very few of them are current ongoing. Will see what will happen with this one. Here is the idea behind this series: I do get to taste many of the newly released wines, some of them are samples, some are not; the wines which I like I intend to share with you in this series of posts. ‘Nuf said, let’s go. My love affair with Rioja started after tasting of the beautiful line up of Viña Real, CVNE and Imperial Rioja (all essentially produced by CVNE), all the way up to the 1964. They were all delicious red wines. For the long time Rioja associated for me only with the red wines, until I tasted Lopez de Heredia Blanco and Rosato, both being about 15 years old and delicious. This is how I discovered that Rioja actually is not only red wines. My next discovery of Rioja white wines was Rioja Monopole (100% Viura), which (to my shame) is produced since 1915 – well, “live and learn” (or “better late than never”, whatever you prefer to comfort yourself). And few years ago I also encountered the Rioja Rosato – so now I definitely know that Rioja is a lot more than just delicious reds. Recently I had an opportunity to taste the latest releases of few of the white and Rosé wines from Spain, not only from Rioja but also from few other regions, and I want to share those wines with you. I don’t know if this is luck, or if I lost all of my taste buds already, but I liked all the wines I tasted – below you will see my tasting notes on the 6 wines, and I would gladly recommend all 6 to you. As a bonus, all 6 are also a great value (under $20). Well, you will be the judge once you will have an opportunity to taste these wines. 2015 CVNE Monopole Rioja (13% ABV, SRP: $13, 100% Viura) – the oldest continuously produced white wine in Rioja, starting from 1915. I didn’t realize this was a 100th vintage (assuming there was no break in production years). 2014 Bodega Berroia Bizkaiko Txakolina DO (12% ABV, $19, 85% Hondarrabi Zuri, 10% Riesling, 5% Folle Blanche, Vegan) – Txakoli is dangerously looking but actually easy to pronounce (just say “Cha-Coh-Lee”) wine coming from the Basque country in Spain. My first encounter with Txakoli was about 8 years ago – it is a clean and refreshing wine, perfect all year around and especially in summer. Similar to many other Spanish whites, it didn’t make it in the US in any major way, but you can still find some of the Txakoli wines in the wine stores – and they well worth your attention. P: fresh, undertones of candied fruit but with dry core. Somehow reminiscent of grapefruit, but without much sweetness of bitterness. Medium body and intriguing, leaves you with a sense of mystery which is hard to grasp. V: 8-/8, excellent and dangerous. Once you start drinking it, it is hard to stop. 2015 CVNE Rosado Rioja (13.3% ABV, SRP: $13, 100% Tempranillo) – shhh, don’t tell anyone, this was my favorite wine out of the group – but it is a secret. P: wow, crunchy strawberries and cranberries which just plop in your mouth as you bite them. Clean acidity, super refreshing and every sip is asking for the next. V: 8+/9-, outstanding, one of the very best Rosé I ever tasted. 2015 Viña Real Rosado Rioja (13% ABV, SRP: $15, 85% Viura, 15% Tempranillo) – you don’t need my comments here – Viña Real needs no introduction to Rioja wine lovers. 2015 Hacienda de Arínzano Rosè Tempranillo Pago de Arínzano (13.5% ABV, SRP $19.99, 100% Tempranillo) – Pago is the highest denomination for wine quality in Spain, above DOC, and it is not easy to achieve it. You can think of Pago as single winery becoming its own appellation – as Arínzano is in our case. What is also interesting about this wine is that it comes from the Tempranillo vineyard which is designated for the production of the Rosé wine, so Rosé here is the goal, not an afterthought. P: outstanding. Soft, polished, fresh strawberries, excellent balance, lip smacking delicious, medium body. V: 8, excellent wine, easy to drink with perfect balance. 2012 Laguardia de Viña Real Crianza Rioja (13.5% ABV, $12.99, 100% Tempranillo) – can’t leave you without a red, can’t I? Viña Real Rioja Crianza is one of my favorite wines, and it is also one of the best value wines for about $15 or under (depending on where you shop). I never had, however, Laguardia de Viña Real, so was definitely interested in trying this wine when I saw it in the store. Once I poured it in the glass and took sip, I was not happy. The wine was rather lean and biting, not what Viña Real usually offers in the glass. I decided to decant it, and then after about two and a half hours, the magical Rioja showed up. V: 8- (after decanting), very nice wine, but give it 5 years or so. We are done here – let me know if you tried any of the wines I mentioned above and what you think of them. Cheers! Don’t have a lot today – but a few things are worth mentioning. First – Monthly Wine Writing Challenge #MWWC16, “Finish” concluded with a very modest 7 entrees. All of you, who were busy (or lazy) – and you know who you are – think about it, this is not cool. I really hope you will eagerly fix that behavior for the next time around, or the whole MWWC will be finished. Nevertheless, it is time to vote note – you can do it here. Last time I reminded you about whole bunch of coming and going wine and grape holidays, so here I will focus only on one – Sauvignon Blanc Day (known in the social media as #SauvBlanc Day), which will be celebrated this coming Friday, April 24th, [hopefully] right in your glass. Sauvignon Blanc is one of the most delicious wines, showing a great range of expression from Sancerre in France to Marlboro in New Zealand to Chile and on to California – it is somewhat similar and ohh so different. One thing in common, no matter where the wine would come from – Sauvignon Blanc always means fun! Festivities will take place all over the world, both on April 24th and onward. On April 30th, New Zealand Sauvignon Blanc will be celebrated in New York – information about this event can be found on the New Zealand Wine web site. If you will scroll down, on the same page to the right you will see information about various events taking place on April 24th in New Zealand, Australia, UK and Canada. You should check Twitter and Facebook (look for #SauvBlanc tag) – I’m sure there will be celebrations all over the world, no matter where you are. Most importantly – pour yourself a glass of delicious Sauvignon Blanc – this is all you need to join the festivities. Wine Til Sold Out (WTSO), one of the finest purveyors on the great wines at the value prices, is doing “it” again. What “it”? Of course the Marathon! This time it is Magnum Marathon, which will take place on Tuesday, April 28th. WTSO went extra step and created a great information page about all of their Marathons, so now it is easy to learn about what, when and how (and I don’t need to repeat the rules every time) – here is the link. The last one for today – Chianti anyone? If you like Chianti, and live in a close proximity to New York, you are in luck, as Consorzio Vino Chianti will be hosting Taste of Italy Chianti tasting event in New York on Monday, April 27th at the High Line Hotel. The event will be open to the public – you can find all the information here. And we are done here. The glass is empty, but the refill is on the way. Cheers! Today’s news are a very eclectic mix – from big international grape celebrations to the interesting, but very local updates. Nevertheless – let’s get to it! 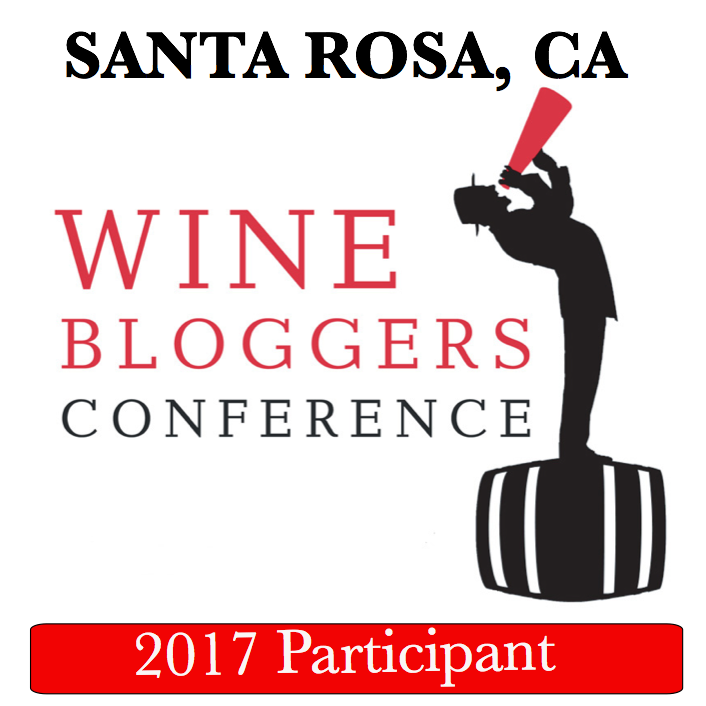 First – this is the last reminder for Monthly Wine Writing Challenge #MWWC16, “Finish” – the deadline to submit your entry is Monday, April 20th. I don’t think I saw a single entry so far, which is sad, as I think the theme is great. Come on – I know you can do it (addressing myself as well as part of the group) – so let’s just do it! Grape and wine holidays, anyone? I don’t know who, where and how comes up with all of those holidays, but still, as oenophiles, we must support them, aren’t we? First of all, April is the Michigan Wine Month. Well, this might be a tough celebration for those who don’t live in Michigan – don’t know about your state, but Michigan wines are nowhere to be found in the state of Connecticut. If you don’t have an access to the Michigan wine, at least you can read about it – here is the link to the Michigan Wine web site. Up and coming in the glass next to you is… Malbec! Friday, April 17th is a Malbec World Day. Unquestionably associated with Argentina today, but really one of the core Bordeaux varietals, Malbec often creates soft, luscious and approachable wines well appreciated by the wine lovers everywhere. Your celebration instructions are simple – open a bottle of Malbec, pour, smell, sip and savor. Don’t forget to say “ahhh” if you really enjoy it, and tell the world about it #MalbecWorldDay. Next holiday is a Sauvignon Blanc Day (#SauvBlancDay), which will be celebrated on April 24th, less than 10 days from now. Actually, when it comes to this holiday, we know where and when – it was created by the folks at the St. Supéry winery in California 6 years ago, to celebrate one of the most popular white grapes in the world, Sauvignon Blanc. If should be easy for you to join the festivities by opening the bottle of Sauvignon Blanc, and then sharing your impressions in the social media. The last wine holiday for today is a 2nd annual Rioja Week, which will start on May 2nd with the Wine and Tapas Festival taking place in Chicago. Again, easy to celebrate – get a bottle of Rioja and drink it with friends! How familiar are you with the wines of Michel Chapoutier, one of the oldest producers in France (established in 1808), best known for his Rhône wines? Whether you are well familiar or not, you are not going to miss out on a tasting of a few of Chapoutier’s Hermitage wines, wouldn’t you? On April 19th, Total Wines & More, one of the largest wine retailers in US, will be conducting a virtual tasting event, where you will have an opportunity to taste (for real) some of the great wines made by Michel Chapoutier. The tasting will take place at the Total Wines stores near you – for more information and to get tickets (priced at $25) please use this link. Be forewarned – the madness is coming! Nope, not the apocalypse type. Just a simple wine madness. Last Bottle Wines, purveyor of great wines at value prices, will conduct their Madness Marathon tomorrow (04/16), starting at 12 PM Eastern/9 AM Pacific time, and continuing for the next 48 hours, or until the Last Bottle cellar will be empty. During the Madness Marathon, all the wines will be offered in the rapid succession, without any notifications – no twitter, no e-mails, no text messages. The only way to follow the madness is by constantly refreshing your browser window. There are no minimum purchases to get a free shipping – you can buy 1 bottle at a time, it is fine. All the wines you will buy will ship together after April 27th. You will need to have an account with Last Bottle Wines, and all account information should be pre-filled – speaking from the experience, the wine you want might be well gone by the time you will finish putting in an expiration date for your credit card. In case you don’t have a Last Bottle account already, I will be glad to be your reference – not that you need a reference, but if you will sign up using this link, you will get $5 credit on your first order – and yes, I will get $20 credit after your first purchase – but once you are in, you will be the one who will tell your friends about it. In case the link doesn’t work, feel free to send me an e-mail to talkavino-info (at) yahoo (dot) com. Lastly, two updates more of a local nature. First, last Friday I had an opportunity once again to talk (yep, that is something I like to do) about my favorite subject. Well, with a slight twist – the conversation was about liquid pleasures outside of wine – Vodka, Scotch, Bourbon and the others. Once again, I was a guest at the Off the Vine Radio Show with Benita Johnson – and you can listen to that show here. Next time, you should call in and ask questions – will make it more fun! Before we part, I want to mention that I finally produced a post #4 in a series of the Spanish Wine Recommendations – this post is focused on the places where you can buy Spanish wines around the world. The reason I’m mentioning it here is because after I published the post, I got very useful comments extending the coverage of the good places to get Spanish wines around the world. I updated the post with those comments, so if you read the post already, you might want to check it out again. Here is the link for you to make it easier. If you also got any suggestions or comments, please make sure to share them. As I was rather hoping for, this post is becoming a living thing – I started receiving suggestions for the additional sources of Spanish wines in different regions of the world – and will be updating the post with those. If you have suggestions of your own – please reach out! And we are back with the Spanish wine recommendations series. In the previous three posts I talked about my long-time favorite ( and therefore, recommended) Spanish wines in the three different price categories – under $20, from $20 to $50, and from $50 to infinity. Now I want to talk about seemingly a non-subject – where can you buy Spanish wines. This seems to be a non-subject as the answer is simple – in the wine store, duh. Well, of course, but it is not that fast and easy. Most of the wine stores in US would have a section of the Spanish wines – however, majority of the wines in that section will be the “value wines” – unknown producers, unknown wines, limited selection of Rioja of unknown pedigree and some of the better names at often inflated prices. You really need a “specialty retailer”, someone who has a passion for the Spanish wines, to be able to buy exactly what you want at a price you want. So in this post, I will share with you what I know about buying the Spanish wines. As I live in US, I will give you first-hand recommendations based on my own buying experience. Well, US is a big country, and I live in a close proximity to New York, so again, this is where my experiences come from. However, I will include some store recommendations for other areas in US, and I will do the same for the Europe and Australia- but this will be mostly based on the information I found on Internet, not something I know myself. Of course my recommendations will include both online and “brick and mortar” sources – as you can imagine, there is only a handful of the physical wine stores I’m familiar with, so most of the recommendations will pertain to the online stores. Before we begin talking about the stores, I want to make a few general comments about buying Spanish wines. It may be even just one comment – when it comes to the Spanish wines, the information on the wine label matters. Another “duh moment”? Well, may be it is, but still – I want to make sure it is something you clearly understand. The words such as Reserva or Gran Reserva are protected by the law – unlike US, for instance, where the words such as “Special Reserve” can appear on the bottle at winemaker’s desire, and actually mean nothing regarding the wine. Why is it important? Reserva typically cost more than Crianza, and Gran Reserva typically costs more than Reserva – and you need to understand that to avoid surprises and to be able to buy exactly what you intended to buy and at a right price. And the vintage and producer matter – of course, this is universal, no mater where the wine is coming from. Okay, let’s now talk about good places to buy good Spanish wines from. Before we get country-specific, let me elaborate on the first “duh moment” – the place to buy Spanish wine is at the wine store. It is definitely true, as a trusted wine retailer is your best source of the Spanish wines. To me, “trusted wine retailer” means exactly that – a person you trust with giving you the best deal and taking care of you. As in any other business, some retailers will be simply looking for the quick buck, but some will be there for the mutually beneficial, long term relationship – retailer gets paid, and you get an access to the wines you want at a price which makes sense. If you have a wine retailer you trust, this might be your best source of the Spanish wines, or at least, one of the best sources. But again, “trusted” is a key word here – and if you have a retailer like that, you are in luck, as hunting down good Spanish wines is a challenge. One more (last!) general note: if you are looking for the particular wine (where to get it from) or just want to check if the price you see makes sense, Wine-Searcher is the place where you should start. Of course it has limitations – if the wine store, for instance, doesn’t sell online, you will not see it come up in the Wine-Searcher results. Also, even if you see the wine to be available in the particular store, especially if you plan to drive to the store, check with the store first if the wine is still available. And Wine-Searcher can’t tell you anything about the reputation and reliability of the store (had my share of issues). Still, it is a great tool to start your search. It is also available as an app on the mobile devices. I have to start with my favorite wine store – the wine owned my friend Zak in Stamford, Connecticut – Cost Less Wines. Zak is exactly that “trusted retailer” – not just for me, but for hundreds and hundreds of his regular customers. The Spanish wines section in his store was built gradually over the last 2-3 years (your truly was a bit of a motivational factor, I have to modestly admit) – but at this point, Zak has an excellent selection – La Rioja Alta, R. Lopez Heredia, CVNE, Imperial, Bodegas Juan Gil, Alto Moncayo and many other wines I mentioned in my recommendations are readily available at his store. It is not just the selection – the prices are great too. For instance, you can’t even find 2001 La Rioja Alta Viña Ardanza Reserva Especial in the stores anymore. Using Wine-searcher, I found one place online where this exact wine was still available – at $89 per bottle. Zak has this wine on the shelf as $29.99. Unfortunately, Coast Less Wines doesn’t sell online, but if you live in a reasonable proximity to Stamford and looking for a good Spanish wine at a good price, this store would worth a drive. Next store I have to mention is called PJ Wine, and it is located in New York City. This store and its owner, Peter Yi, literally put Spanish wines for me on the map (Peter is incredibly passionate about Spanish wines). First I discovered the store online, while looking for some specific wine, and this is how I ended up on their mailing list. Then I got an email advertizing free Spanish Rioja seminar – I signed up, drove to the city – the rest was a history and a love from the first sip (especially a first sip of 1964 Rioja). PJ Wine sells both in the store and online, and their selection is nothing short of incredible, including lots of Rioja from the best years – 1964, 1978, 1994 and lots more – all in stock. Again, if you live in New York city or a close proximity, this store absolutely worth a special visit (just do me a favor – decide on your spending limit before you come there, or better yet, leave all credit cards at home and bring limited amount of cash, as once you will start shopping, you will not be able to stop – and don’t tell me I didn’t warn you). Online selection is equally excellent. One more store I have a good experience with is the Bottle King in New Jersey. It is not just one store, it is a number of stores, mostly located in Northern New Jersey – plus an online store called The Wine Buyer. 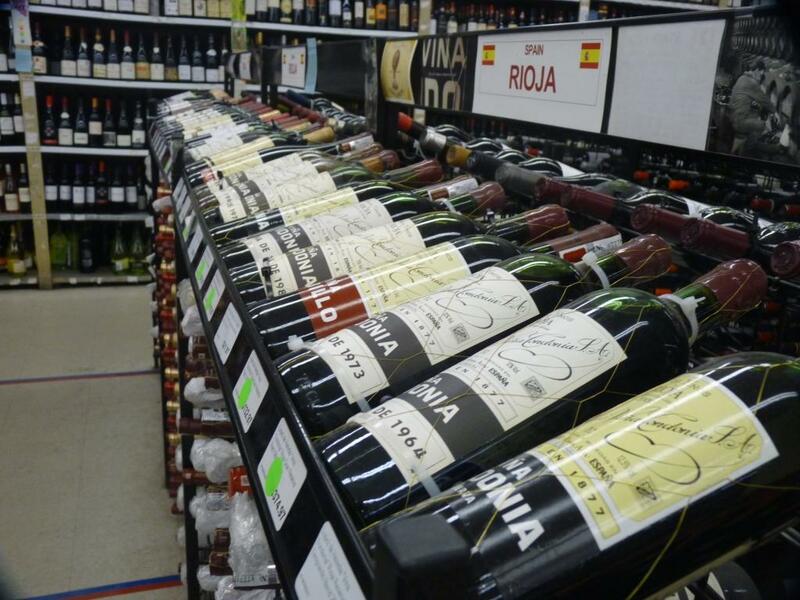 Overall Bottle King offers good selection of the Spanish wines at good prices. What is important to know about Bottle Kings, however, that the selection will vary from the store to the store, and most importantly, the selection and pricing online at The Wine Buyer might differ from the physical stores – stores often offer deals and discounts not available through the online outlet. I wish I can offer you a selection of the stores in any of the large metropolis around the country, like Atlanta, Chicago, Dallas or Denver – but I’m not aware of any of the “Spanish wine” specialty retailers. By the way, if you know of any good “Spanish wine” specialist stores in your areas – please let me know, I will be glad to amend the post. Going all the way to the west coast, there is not a whole lot I can offer as well. However. there is one store I would like to mention – K&L Wine Merchants. They operate three stores in California, as well as an online store. At the time of this writing, the online store offered selection of about 330 Spanish wines, many with the reasonable prices, so I believe it is worth mentioning here. Last two sources I would like to bring to your attention are both online only. First of all, my beloved Wine Til Sold Out, WTSO.com (also available as an app). While there are other sites with the similar model (Last Bottles, Last Call Wines and more), WTSO has the best deals when it comes to the Spanish Wines. Yes, you have to be on a look out, true (sign up for email and twitter updates from them), and when the deal shows up, you have to act quickly, but still, they have by far the best selection alongside of recommendations I made. Just to give you an example of a recent deal I got there – 2002 R. Lopez de Heredia Reserva, $23 at WTSO and about $35 (give or take) most anywhere else. The last one for the US is the online store called Wine.com. To tell you the truth, I never bought anything from Wine.com myself, but I checked their inventory, and at the moment they are offering about 300 different Spanish wines, including many of the names I talked about in this series (CVNE, La Rioja Alta, Carchelo “C” etc. ), and the prices seem to be reasonable, so I feel inclined to include them into my recommendations ( if you have a first hand experience with Wine.com, I would appreciate your comments below). Okay, so let’s get things straight. As I live in US, I don’t have a first hand experience buying Spanish wines in Europe. So for the stores which I found, I made sure the selection looks good and the prices look reasonable. What I found was a link to an excellent article which pretty much summarizes the online sources for Spanish wines in Europe, so in essence, I only need to direct you to read this article here. Note that not all the stores in the article are equally reputable – for example, a reader told me that Uvinum is known to have problems (poor deliveries and bad customer service), so check the references before you will use them. Now, this was the part of the original post: If you know if any wine stores with the good selection of Spanish wines (with good prices!) in your country in Europe – please let me know and I will be glad to add them to this post. Lastly, don’t forget that Wine-Searcher works internationally, so you can specify your country when searching for the specific wine. “For those in the UK I can strongly recommend Moreno Wines (http://www.morenowines.co.uk) in Maida Vale. They have an excellent selection of Spanish wines and are almost every other year awarded Spanish wine merchant of the year. Lea & Sandeman, http://www.leaandsandeman.co.uk Perhaps not the largest or most innovative selection but they often have good prices and I really like the friendly service, especially in their Kensington shop. The Sampler, http://www.thesampler.co.uk. My overall favorite when it comes to wine shops in London. They are stronger on champagne but also have a good selection of Spanish wines. Handford, http://www.handford.net is also a good bet, not cheapest but not expensive either. Zelas. http://www.zelas.co.uk Good Spanish wines at decent prices. Quite unexpectedly for me, it appears that Spanish wines represent a tough love when it comes to Australia. I understand that Australia produces a lot of their own wine, but so does the United States and many other countries. Yet searching for La Rioja Alta and CVNE for the whole of Australia yield only one result. Many of the Australian wine store web site don’t recognize the word “Rioja” and suggest correcting it to “Rosado”. I reached out to The Wine Wankers, very popular and knowledgeable wines bloggers who happen to live in Australia, and I got a few recommendations, out of which I would like to mention Dan Murphy’s, which is a chain of the wine stores in Australia, where you can find at least some of the wines we talked about in this series. Well, not sure if Australia might be a next opportunity for the Spanish wines, but at least this is the story at the moment. Same as for all of my European friends – if you live an Australia and know of a wine store with a good Spanish wine selection, please let me know and I will be glad to include it here. And we are done – now you have my Spanish wine recommendations as well as the some of the places where you can buy those wines. I still want to write one more post and summarize all we talked about here, therefore, I’m not waving good bye yet.